Produced by Brownells, this easy-to-follow, step-by-step video guide is your ticket to the custom AR-15 you've always wanted. Tim Dillon, a former Brownells Military/Law Enforcement Manager and a former U.S. Army small arms repair specialist, shows you how to build your own AR with features and accessories that'll help you shoot your best. You don't need to be an expert riflesmith or armorer because Tim walks you through each step in plain English and crystal-clear video. 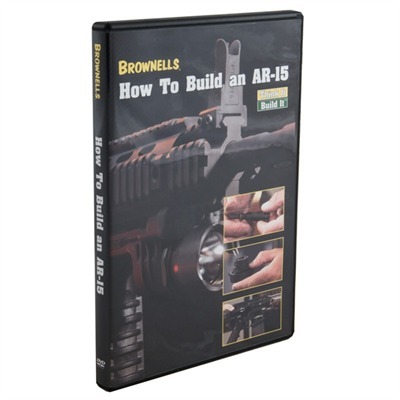 He explains AR-15 models and variations, laws and regulation, specifications, operation, deciding what rifle to build, selecting and ordering parts, tools, step-by-step assembly, function testing, safet Mfg: Brownells SPECS: 1 DVD. 2 hours 10 minutes.